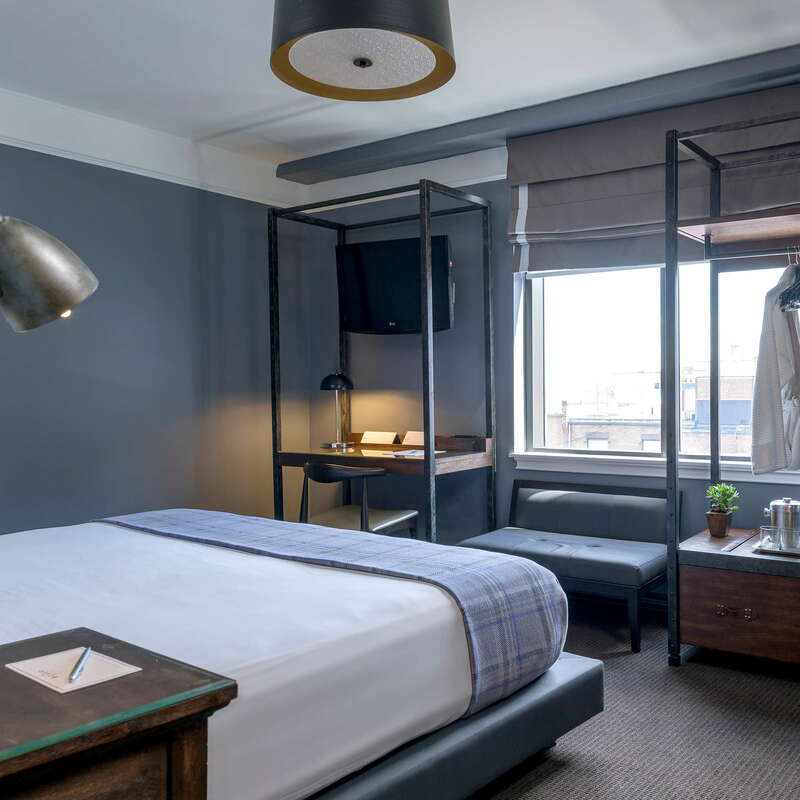 Once known as the Flatiron Building, the Boxer is an 80-room boutique hotel that generally caters to folks heading to concerts and sports games at the neighboring TD Garden. 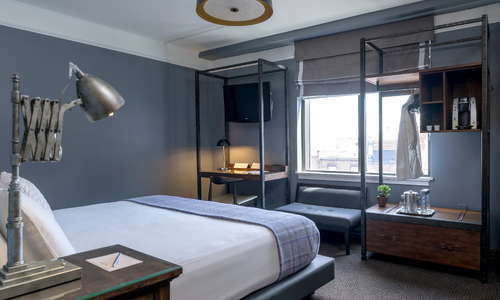 An easy walk from Government Center, Faneuil Hall, and the North End, the nine-floor hotel has a crisp, contemporary look, and is a great value—if you don't mind tiny accommodations. Cramped or not, the Boxer is a welcome oasis away from the cacophony of concert- and sporting-event crowds. YOU SHOULD KNOW On nights that the Bruins and Celtics play, things can get a bit rowdy around the Boxer thanks to the proximity of the TD Garden and several boisterous bars. 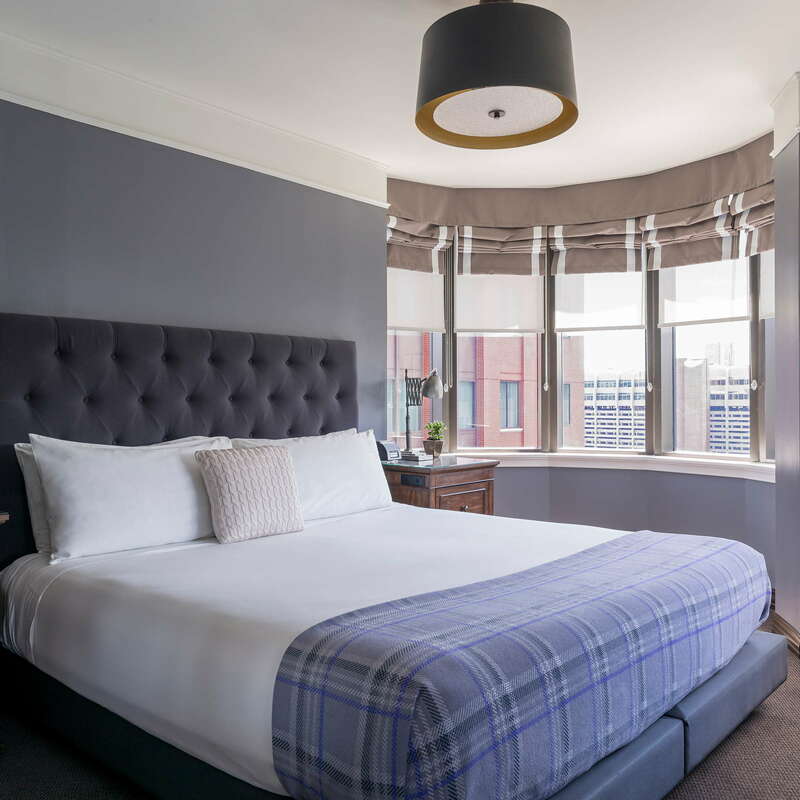 It's modern simplicity at its best—the miniature, minimalist rooms are a blend of stylish slate blue with tufted bed frames, riveted steel wardrobes and gold metal pendant lamps. 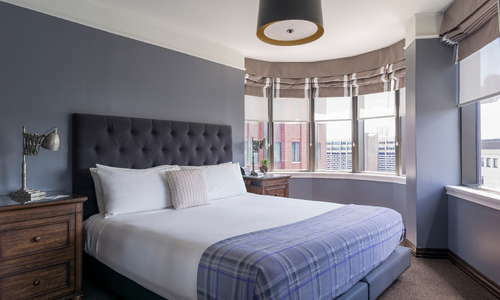 They have high-end mattresses, plus 32-inch flat-screen TVs, iHomes, in-room coffee and work desks. 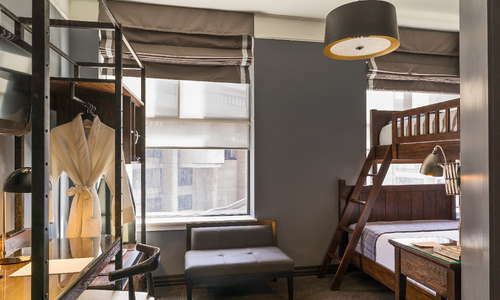 There's even a Family Suite, a two-room space which combines one bedroom that has a king-size bed with another that has bunk beds. 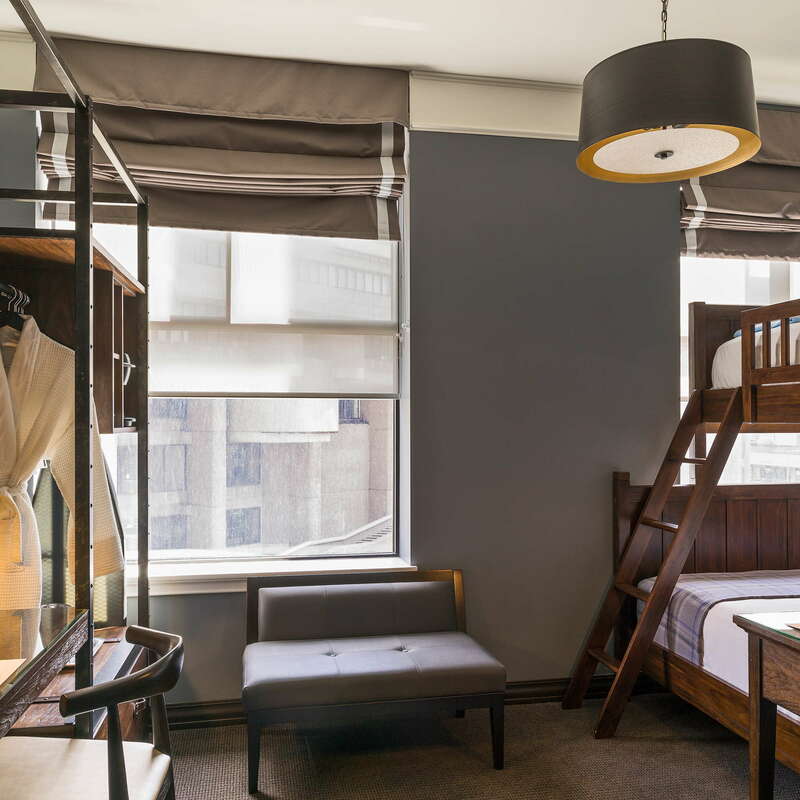 A smaller Boxer Bunk suite features two full-size bunk beds. Bathrooms are equipped with L'Occitane bath products and bathrobes. There's also Harry’s Shaving Kits in the mini-bar. The quiet lobby of the Boxer is a comfortable spot filled with hardwood flooring, leather chairs and coffee tables. There's also a lobby computer kiosk if you need to print your boarding passes. There is a 24-hour fitness center with a treadmill, stationary bike, elliptical, and free weights. There's also a 42-inch TV. 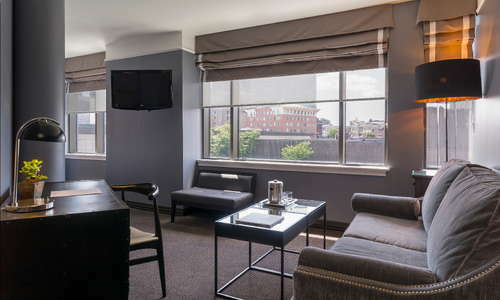 Guests can also request complimentary access to the nearby Boston Sports Club. Feel like getting out of the gym? Borrow one of the hotel's bicycles. 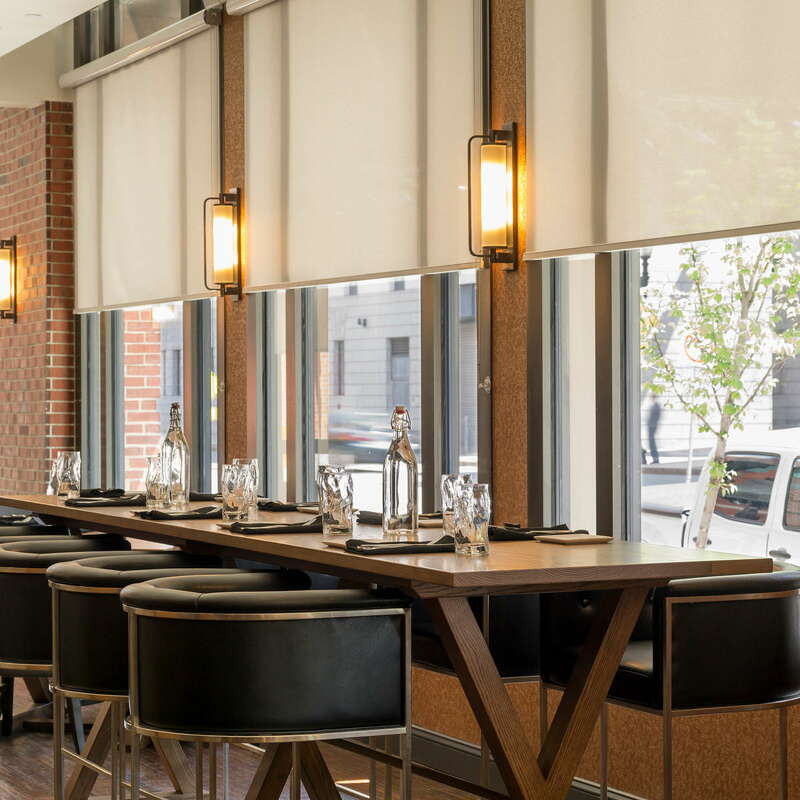 Finch Restaurant and Bar serves up New England cuisine made with local ingredients. Finch also has a good selection of beers, wines and cocktails. 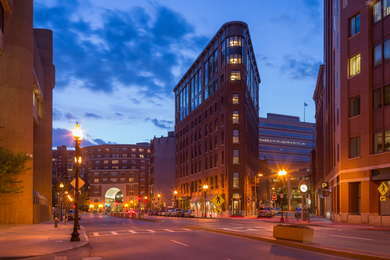 The Haymarket stop on the Green and Orange MBTA lines is just a 5-minute walk from the Boxer, while the Blue Line is easily accessible at the Bowdoin and Government Center stops. 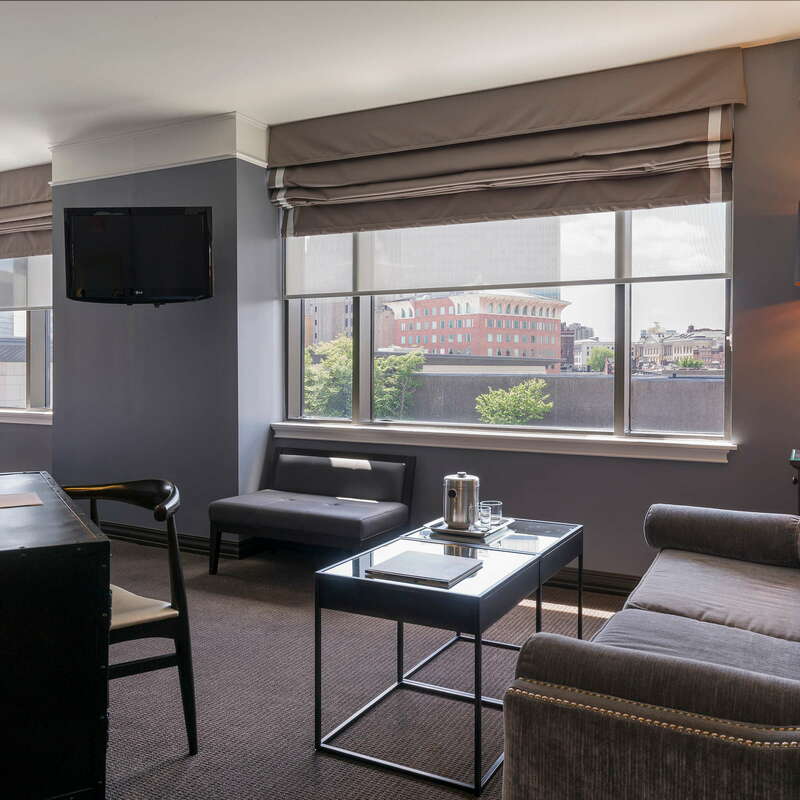 Guests can easily walk to multiple downtown neighborhoods, like Faneuil Hall, Beacon Hill, the North End, and more. 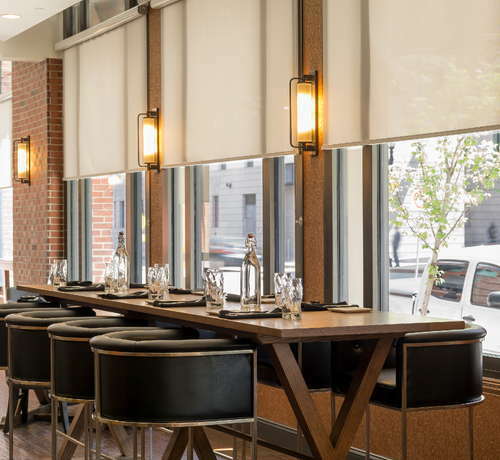 For a great meal head to Ward 8 Restaurant & Bar (5-minute walk), a gastropub with a great drink menu. If you're willing to wait in line if it means amazing pizza, stroll into the North End and visit classic eatery Regina Pizzeria (7-minute walk). 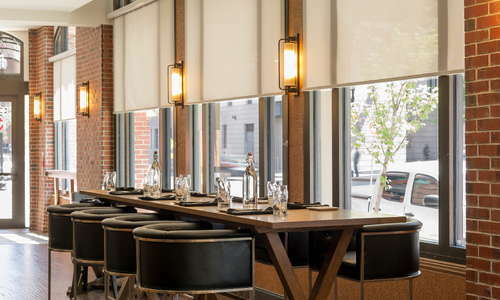 The brand new City Winery (5-minute walk), a restaurant and live performance venue, is also close by. There's plenty of bars in the area, many of which fill up with sports fans and concert goers. Both The Fours (4-minute walk) and The Harp (2-minute walk) are classic mainstays in the area. If you want quaint, clean lodgings near the Garden for a game or a concert, the Boxer is a good deal. They're also very pet-friendly, providing your furry friend with treats, a dog bed, dog bowls, and baggies for their trips outside.